Occasionally in my travels I stumble upon one of those rare places in the world where time slows down, colors sharpen, and I become vividly aware of the interconnectedness of myself with the world around me. 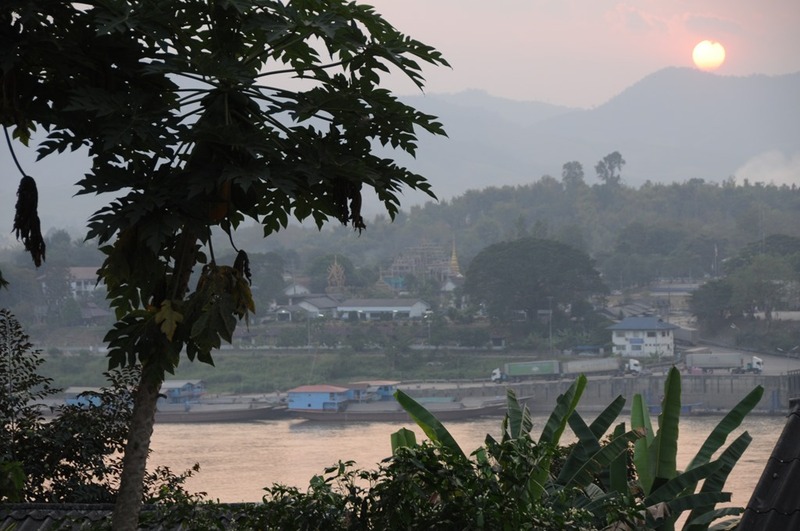 Perched above the banks of the Mekong River in a remote northern village of Laos, watching the flaming orb of the setting sun reflected off a golden Buddhist stupa, I became acutely aware that this was one of those moments. All was good in the world, and a warm feeling of calmness drifted over me. Here, surrounded by curious teenage monks emblazoned in burnt orange robes, I took stock of my life, my family, and humanity. The bothersome minutia that typically flits about annoyingly now faded away into obscurity and I was left with a simple feeling of bliss. 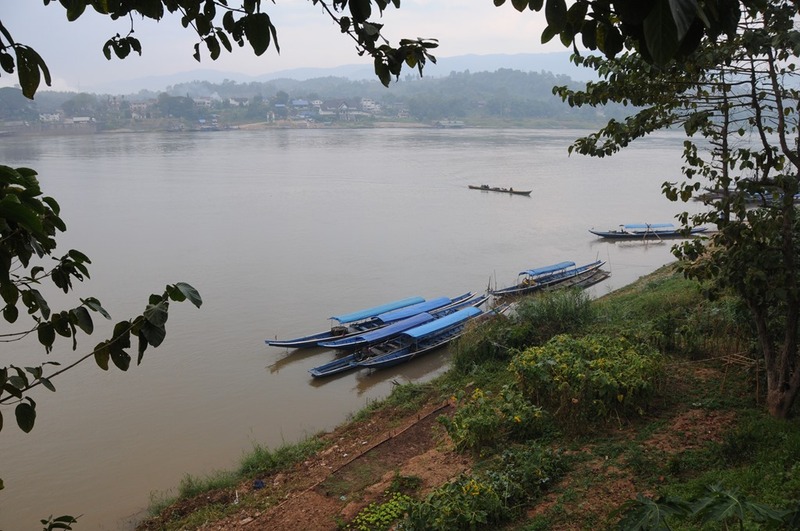 By the end of my trip here to Northern Laos, I had been an honored guest in a Laotian wedding, sampled some exquisitely sublime food, and cleared my mind in one of the most relaxing places I have visited to date. Let me start by telling you how incredibly liberating it is to risk life and limb and ride on the back of a Songthaew. 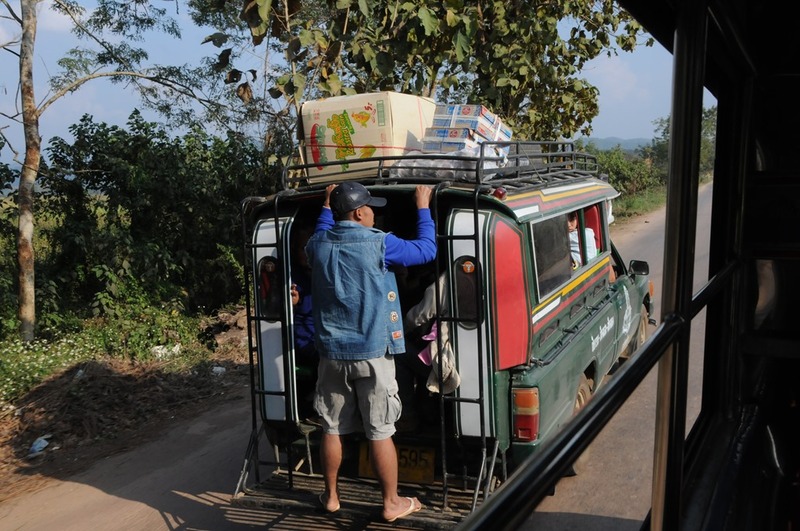 If you aren’t familiar with this Southeast-Asian invention, imagine a pickup truck fitted with two bench seats with a welded frame loosely fitted over the truck bed. Now slap a platform on the back and you’ve got an excellent place to hang onto for dear life as your driver whips around the roads and hills of Northern Thailand. I flew around Chiang Rai Province in the hills of Northern Thailand in January, 2013 with my good friend and travel companion Joel Oleson. 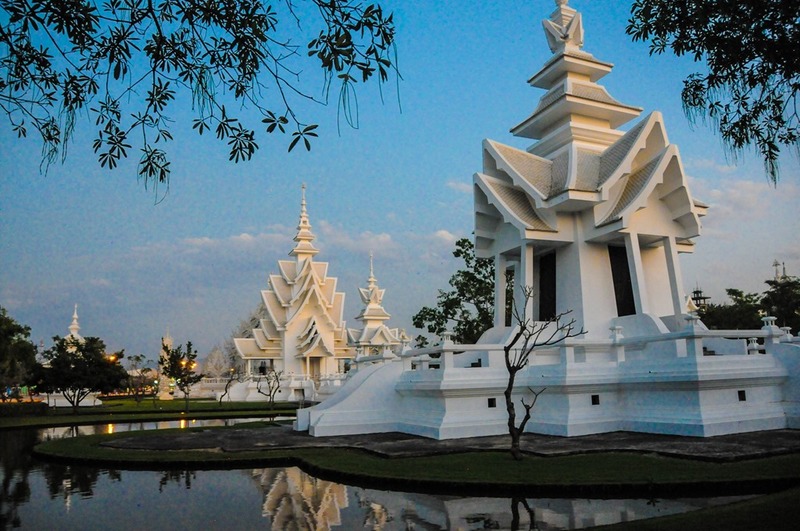 We were here in between speaking engagements and used Chiang Rai as a launching-off point for getting around to the countries of Burma (Myamnar) and Laos, which I will cover in two separate blog posts. What I discovered was that this side of Thailand was filled with amazing people, fantastic food, and, of course, some mind-blowing transportation options.